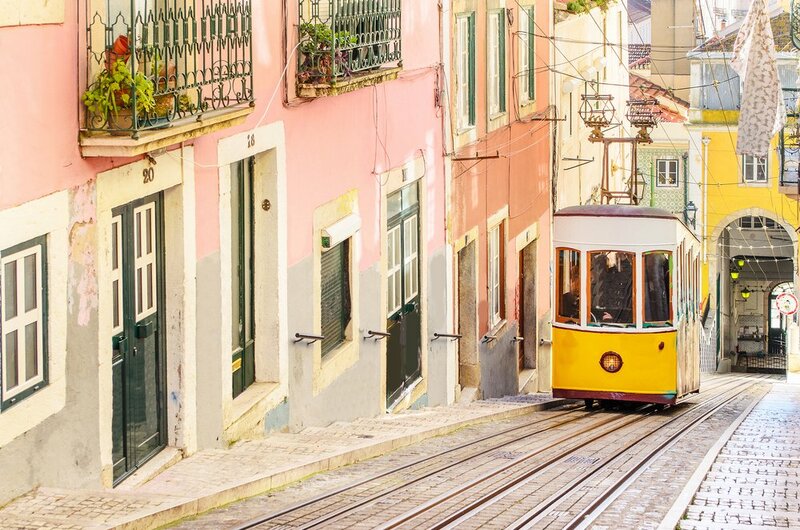 Explore Lisbon’s postcard-perfect cobbled streets, ride up and down the city hills on the yellow vintage tram and eat your body weight in their famed Pastel de Nata pastry. 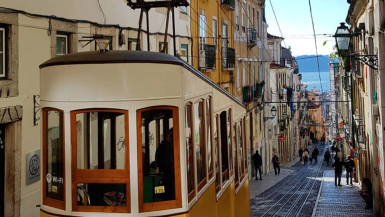 Lisbon has postcard-perfect cobbled streets, ride up and down the city hills on the yellow vintage tram and eat your body weight in their famed Pastel de Nata pastry. Village Underground is a creative incubator space, a coworking community and a creative events destination in Lisbon, and is buzzy day and night. The double-decker bus cafe is an insider favourite. 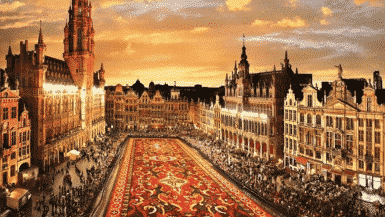 Yes, an entire street painted bright pink – the Instagram dream. You probably know Cais do Sodré by night, when it comes alive with bars, but stop by during the day for a colourful contrast between the pink street and historical buildings. Bica district is known for its famous funicular railway line facing one of the steepest slopes in the city. Ride it all the way to the top for an incredible view of the city. Miradouro de São Pedro de Alcantara is a public garden with a panoramic view across the city to St. George’s Castle and central Lisbon. Arrive before sunset for the best view you’ll have all trip. The most famous Fado (traditional Portuguese music) graffiti tribute in Lisbon is Fado Vadio and was created by locals artists to celebrate the rich history of Fado music. Stop by Pastéis de Belém for the original Pastel de Nata custard tart; a local favourite for almost 200 years from this tiny store. They recreate their secret recipe from 1837 very day in their bakery in the Oficina do Segredo” (“Secret Shop”) by hand, using only traditional methods. Located on the river front, this new highly Instagrammable museum has a modern design and spectacular views. You can walk over and under as well as through the Centre, and access the city via a new footbridge over the railway tracks. Swing by at sunset for the ultimate photo.